This simple and easy Chicken Rice Casserole makes an elegant and tasty dinner. 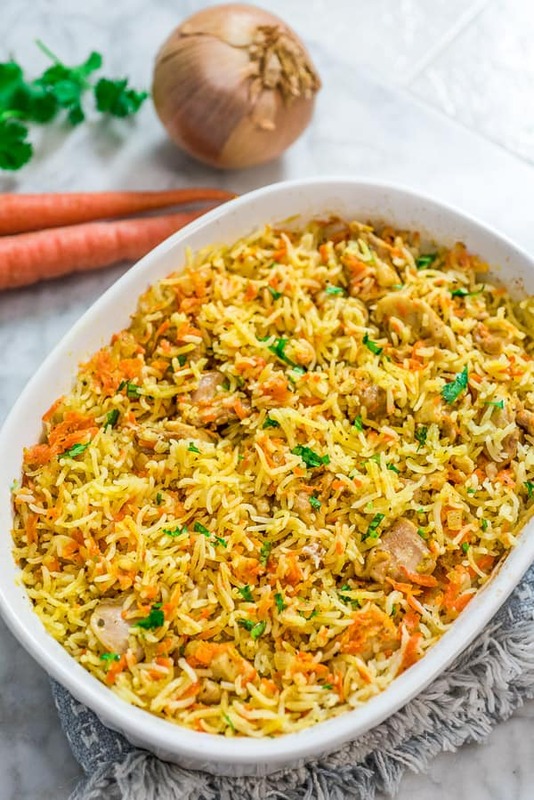 Made with onions, carrots, basmati rice, and chicken, you won’t believe how delicious this meal is! 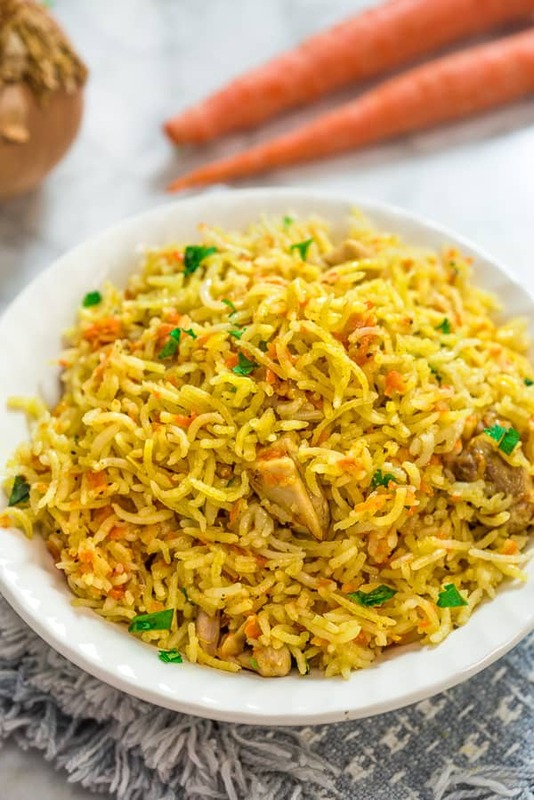 If you are looking for a simple, yet delicious and filling chicken dinner, this Chicken Rice Casserole is just what you need. 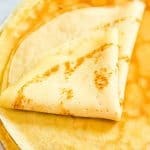 It is made with simple ingredients and no fuss. While the casserole is in the oven, you can make a quick salad and set the table. 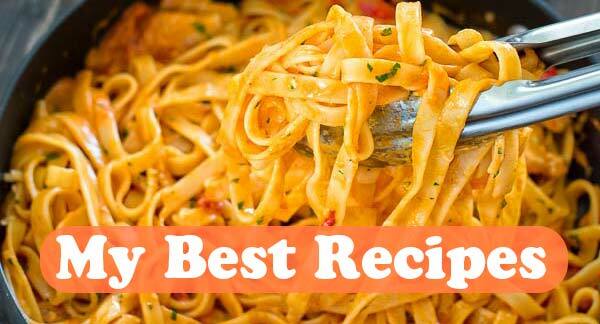 I am so eager for you to try this recipe, friend! Let’s just take a moment and discuss the main ingredients. 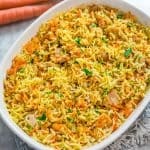 I recommend using boneless chicken thighs in this Chicken and Rice Casserole recipe. 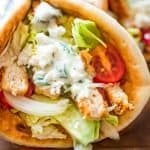 Dark chicken meat is much more tender and succulent, and that is why it works the best here. That said, you can use chicken breast meat, if that’s what you have on hand. 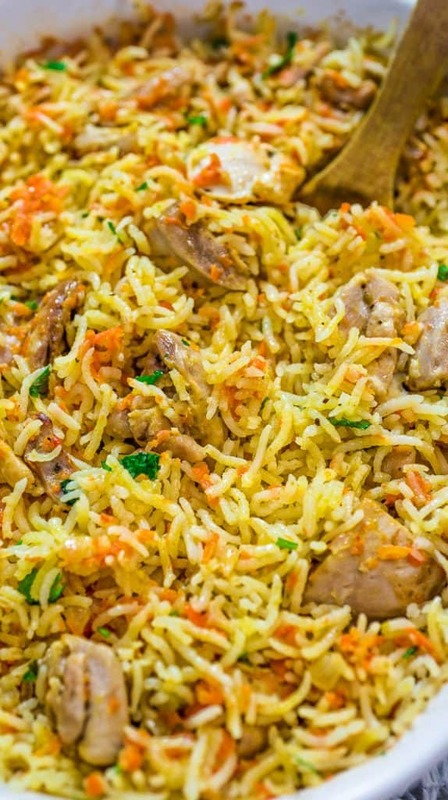 Basmati rice is definitely THE RICE to use for Chicken Rice Casserole. 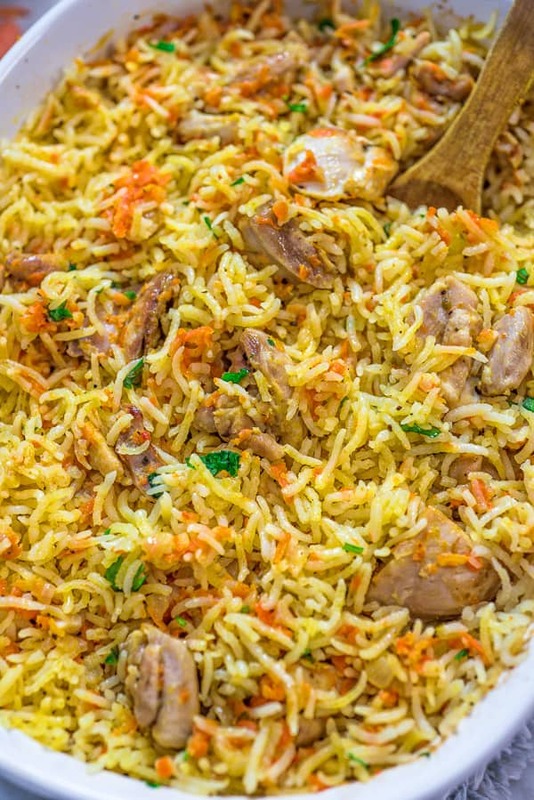 It cooks fast and is not starchy, so you’ll end up with perfectly flaky rice. I don’t suggest using any other kind of rice in this recipe. The good news is that Basmati rice is sold in almost every grocery store, so it’s not hard to find. Of course, you can buy Basmati Rice from Amazon, and have it delivered right to your door (it’s only $9.59 for a 4 lb. bag!!!). 1.Preheat the oven to 450 °F. 2. In a large skillet, sauté the chopped onion with olive oil over medium-high heat for about 3 minutes. 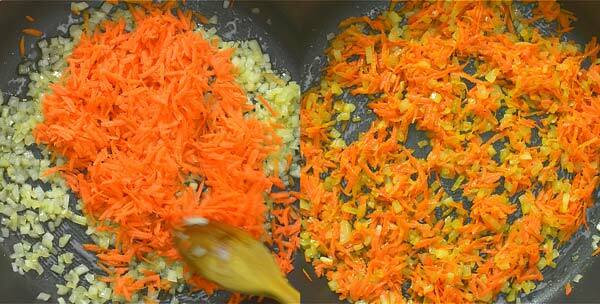 Add the carrots and cook for another 3 minutes. 3. Add the chicken and season it with salt, pepper, and your favorite chicken seasoning (Mrs. Dash Original Seasoning, Taco Seasoning, Old Bay Seasoning, etc.). Cook the chicken for 5-7 minutes. 4. Transfer the chicken to a medium casserole dish and add the rice and chicken broth. Stir well. 5. Cover the casserole with foil and bake for 40 minutes. Salad. Garden and Greek salads are my favorites! Steamed vegetables. 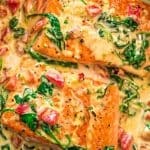 I love adding some steamed asparagus or broccoli on the side. Cole slaw. Store-bought or homemade. You can’t go wrong with cole slaw! How long will it stay in the fridge? Up to 4 days. Can I freeze it? Yes. 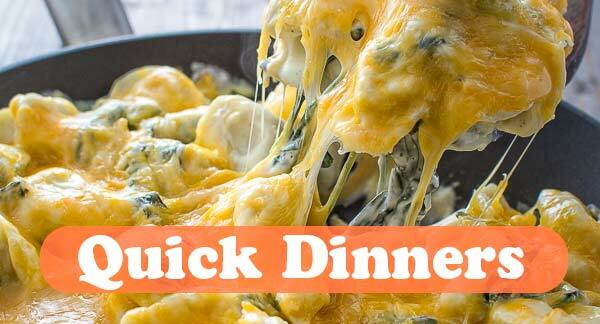 Just place the tightly-covered casserole dish (lid or foil) in the freezer once it cools down. 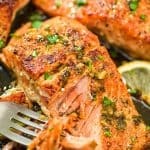 When ready to reheat, warm it in the oven for about 15 minutes at 350°F. 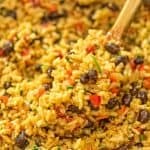 Can I use different rice? 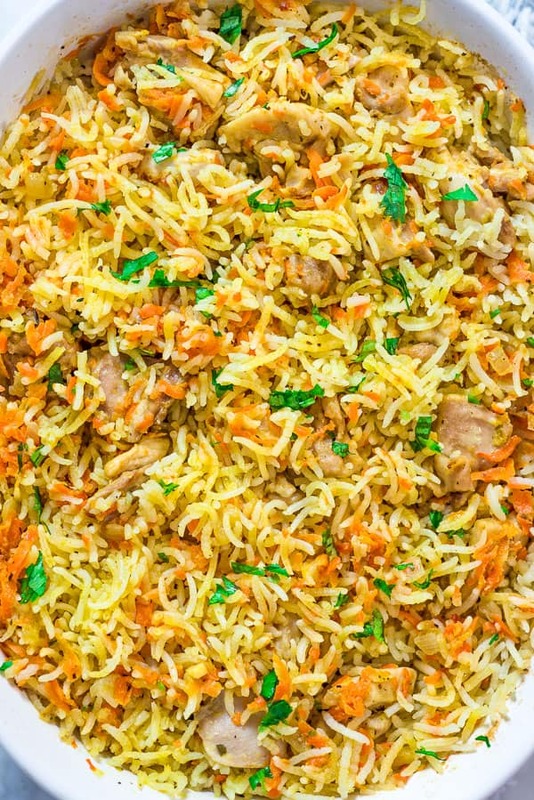 I strongly suggest using Basmati Rice in this recipe. However, you may try substituting for a different long grain rice. In a large skillet, sauté the chopped onion with olive oil over medium-high heat for about 3 minutes. Add the carrots and cook for another 3 minutes. Add the chicken and season it with salt, pepper, and your favorite chicken seasoning (Mrs. Dash Original Seasoning, Taco Seasoning, Old Bay Seasoning, etc.). Cook the chicken for 5-7 minutes. 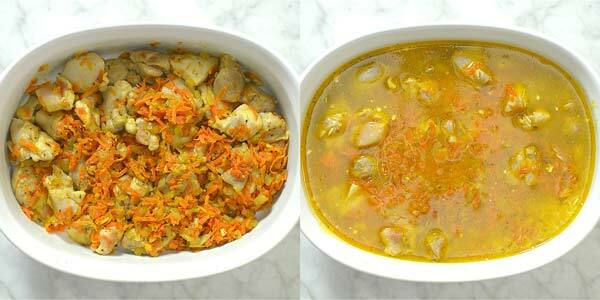 Transfer the chicken to a medium casserole dish and add the rice and chicken broth. Stir well. Cover the casserole with foil and bake for 40 minutes. * Mrs. 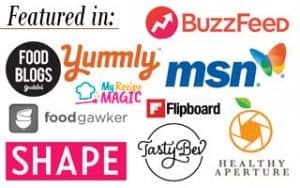 Dash Original Seasoning, Taco Seasoning, Old Bay Seasoning, etc. ** Depending on how salty your chicken broth is, you may need more or less salt. 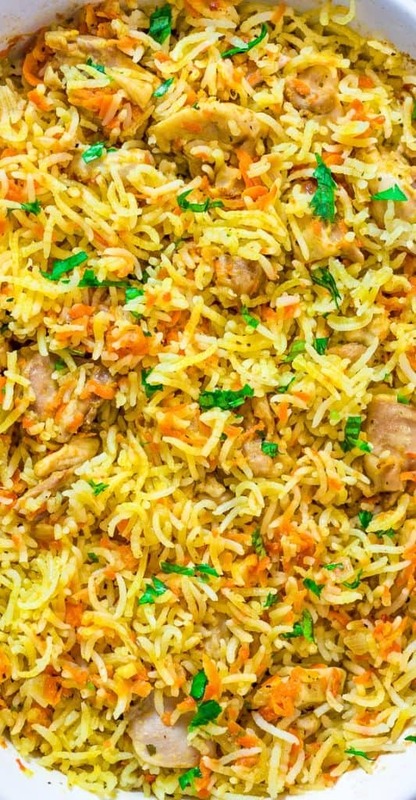 Is the rice cooked or uncooked when you add it into the bake than with the rest of the ingredients to bake ? Hi Cynthia! I use uncooked white basmati rice. 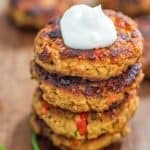 Can I use precooked long grain? Hi Viola! In this case no baking is necessary. 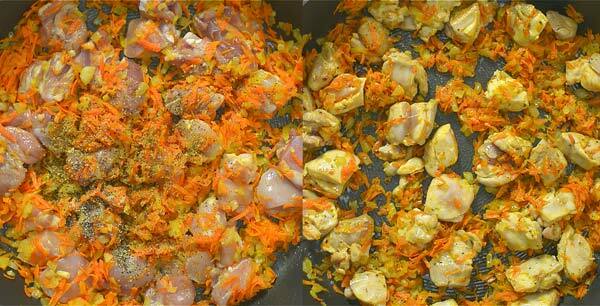 Just saute the chicken with carrots and onions until cooked through, and then add cooked rice to the skillet. Cook, until the rice is heated thoroughly and serve. Thanks!